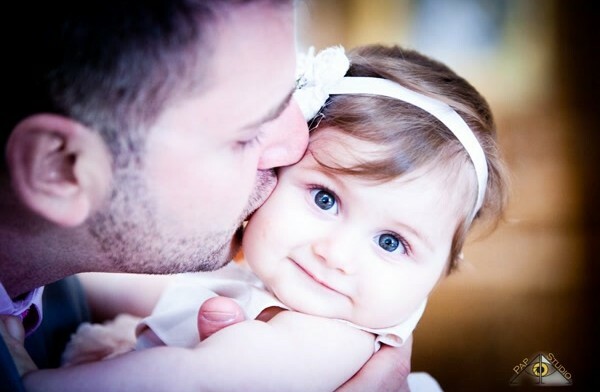 Christenings are important life events, both for the child and their entire family. Unfortunately, it’s not always possible for every family member to attend! 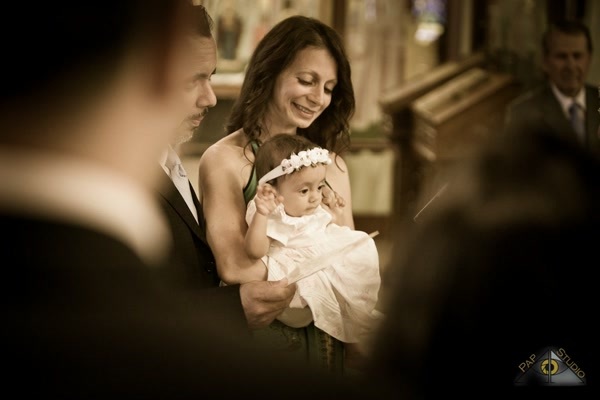 This means that one of the most important jobs for a christening photographer is to “see” the event for everyone who couldn’t make it to the ceremony. This creates a powerful motivation to take great images, and it also means that a lot of the photographs you take will be in a photojournalistic style to show off the event. But photojournalism doesn’t always capture the emotional power of the ceremony, and that’s when it can help to get a bit creative. 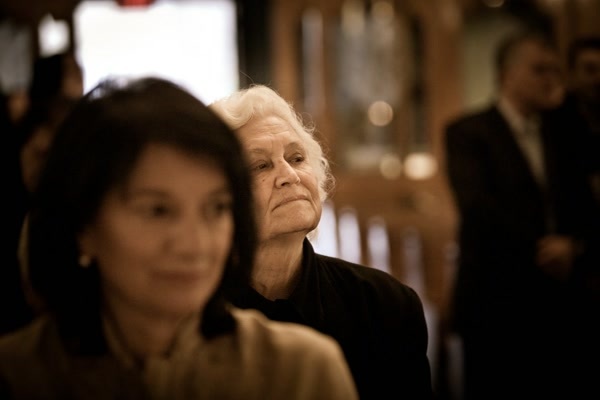 The goal of event photography is to tell stories with your images. But in order for people to really take the time to uncover all the details, you need to create striking images that capture their attention. Something as subtle as what you choose to focus on and what you choose to leave out can provide important clues to the viewer about what’s really happening. So let’s take a closer look at what f-stops and depth of field are, and how you can use them to control focus and depth of field in your event photographs! Those of you who are used to using a point and shoot camera to take photographs might not know what ‘f-stop’ refers to, but it’s one of the most important settings on your camera. Your f-stop setting (also known as the ‘aperture’) is mostly responsible for how much of your image is focus at one time, but it also controls how much light hits the sensor. One of the most confusing parts about f-stops are the way photographers speak of them. F-stop numbers tend to range from f/1.4 all the way to f/36, but the smaller numbers are referred to as ‘wider’ apertures, and the larger numbers are referred to as ‘narrow’ apertures. So in other words, an f-stop of f/36 is smaller than an f-stop of f/2. This is because when the camera is set to f/36, the opening in the lens that allows light to pass through is extremely small, and at f/2 it is quite large. It’s a bit confusing, but it makes sense once you understand why it’s done that way! You’ve already seen depth of field at work, even if you didn’t know what it was called. The ‘field’ in the name is the section of the photo that’s sharply in focus. In some photos, the entire image is sharp from front to back – this is called a wide depth of field. You get a wide depth of field when you use a narrow aperture such as f/22 or f/36. On the other end of the scale, a really wide aperture such as f/1.8 or f/2.8 will produce a very narrow depth of field. This means that if you focus on something very close by, you will find that only a very small amount of the image is in focus. Depth of field can be a really powerful tool for creating incredible images. It takes a bit of practice to learn how to use it in your photographs, but once you understand it, you’ll never look back! If you’re using a point and shoot camera, you might not realize that you can set the f-stop yourself. No matter what type of camera you have, look for for a setting called ‘manual’ mode, or ‘aperture priority’ mode. Aperture priority mode can be useful for beginners, because it is a mix of manual and automatic modes. It allows you to control your f-stop setting, but the camera will automatically handle everything else. This is a great way to start learning how to use manual mode settings, but even more advanced photographers can benefit from aperture priority mode sometimes. The most important part about using depth of field is knowing when to use a narrow depth of field and when to use a wide depth of field. If you want to show off a person’s face or an interaction between two people, a narrow depth of field will let you show off the elements you care about and blur out the rest. Remember, this means setting a wide aperture such as f/2! If you want to show off the entire venue and all the family attending, a wide depth of field will get more of the scene in focus. This means choosing a narrower f-stop such as f/11 or f/16. If you want learn more about the technical side of f-stops and aperture, stay tuned for an upcoming post that digs more into why this stuff works the way it does. If you want to learn more about how you can use depth of field to create powerful images like the ones you see in this post, or if you want to hire me to tell the story of your child’s christening ceremony, please feel free to get in touch with me by email at arpi@papstudio.com or by telephone at 1-801-938-5513.